Seattle radio personality Norm Gregory has died. Gregory died over the weekend from complications of diabetes, according to a Facebook posting by his brother Brian. According to Gregory's website, his first full time radio job was at KBRC in Mt. Vernon, WA in early 1967. A month later he was at KPUG, Bellingham, WA; nine months later Gregory was in Spokane, WA at KJRB. In early 1969, Gregory arrived at KJR AM, Seattle, first doing early evenings and then afternoons. In 1975, Norm went to KZOK AM/FM; at the time the station was less then a year old. He served as KZOK Program Director from 1976-79. Then off to Portland (KQFM/Q100) for ten months. Back to KZOK in early 1980 as station manager. That lasted until August 1981. After a brief two year return stint at KJR (again doing afternoons), Gregory landed the afternoon full service program at KOMO, Seattle (1984 to 1994, being Program Director 1989-92). 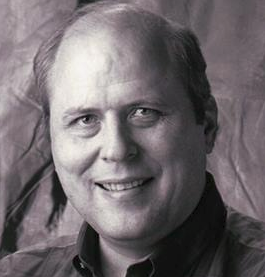 In July, 1994, Norm joined the new KJR-FM, as Program Director and afternoon air personality. In September, 1997, as the station was sliding out of The Greatest Hits of The ’70s, Norm slide out of the PD job and filled in on the morning shift following the departure of Charlie (Brown) & Ty (Flint). Between early March, 1998 and late April 2000, Norm did the weekday afternoon shift at KJR-FM. His last shift (3 p.m. – 7 p.m.) at 95.7, KJR-FM, was on April 24, 2000. After 33 years of being on the air, in April 2000 Norm found himself not on the radio. He continued working on several web projects, including maintaining a couple radio station webs site full time. Radio Show: Would Bigger Be Better?